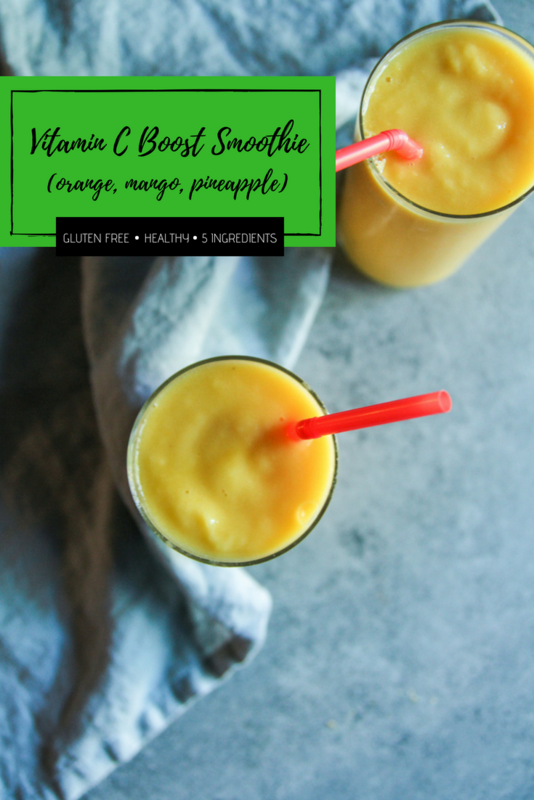 This is one of my all time favorite smoothies, which I’m calling the vitamin c boost smoothie, because it’s full of natural vitamin C.
After you make this smoothie once, I think you’ll fall in love. I know I did, and it’s a long-term relationship kind of thing lol. It’s sweet but not too sweet, and has that wonderful fresh citrus taste. 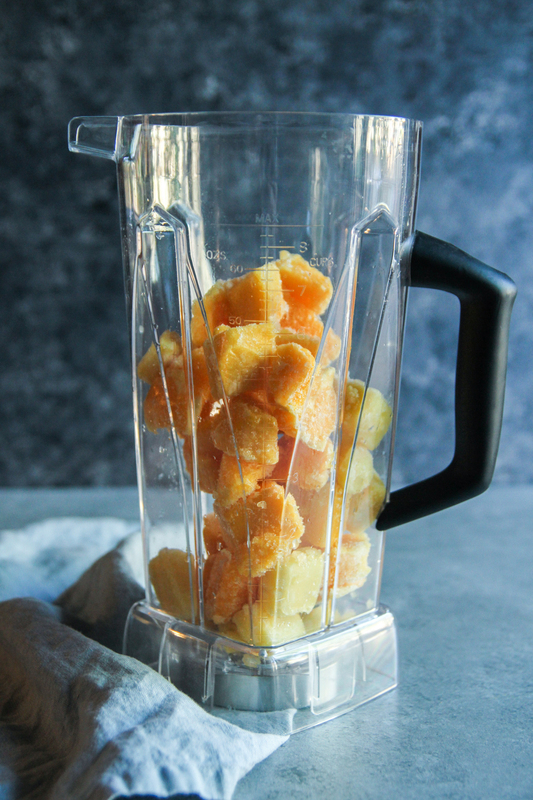 A combination of oranges, mangos and pineapple make this smoothie bright orange. It feels fresh and vibrant and delicious. After having smoothies for over a week every morning (see the Summer of Smoothie and Salads post), I’m starting to figure out what I like in terms of flavor combinations. I make smoothie ‘packs’ where I put the ingredients in a bag in the freezer and then in the morning, I just add liquid to the smoothie ‘pack’, blend, and I’m ready to go. 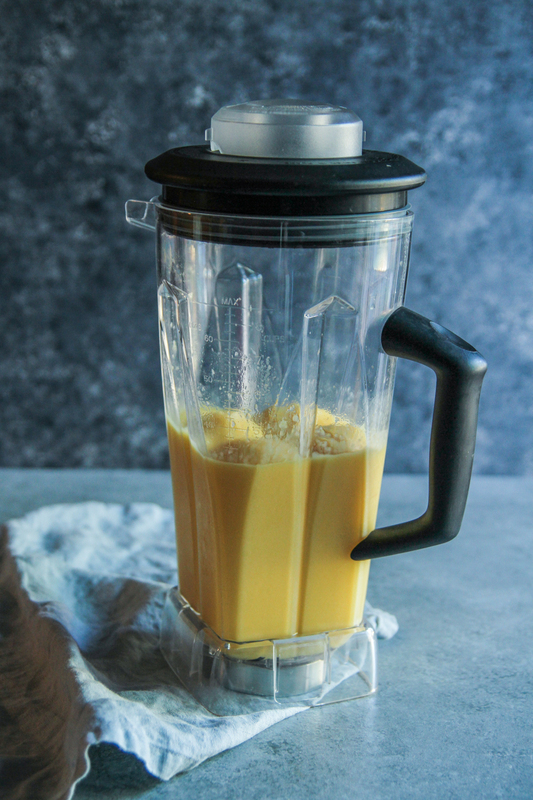 What are the health benefits of this orange, mango, pineapple smoothie you might ask? 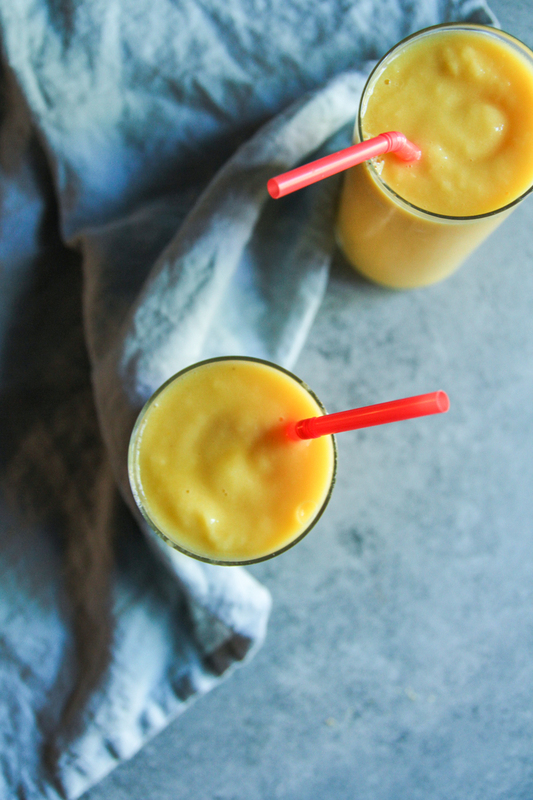 Well, this vitamin c boost smoothie is packed with nutrients, vitamins, enzymes and antioxidents. 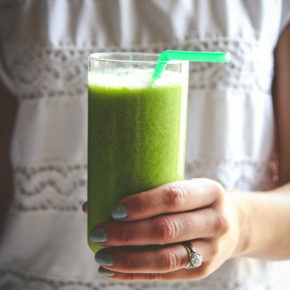 It helps boost your immune system, build strong bones, and aids in digestion. Do you like smoothies? I’d love for you to join in the Summer of Smoothie and Salads, just tag #sweetphiblog on social media and let me know what you’re making. I’m working behind the scenes on putting together some awesome giveaways! 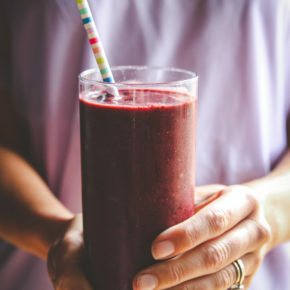 I also really love smoothies because they tend to have really pure, simple ingredients. 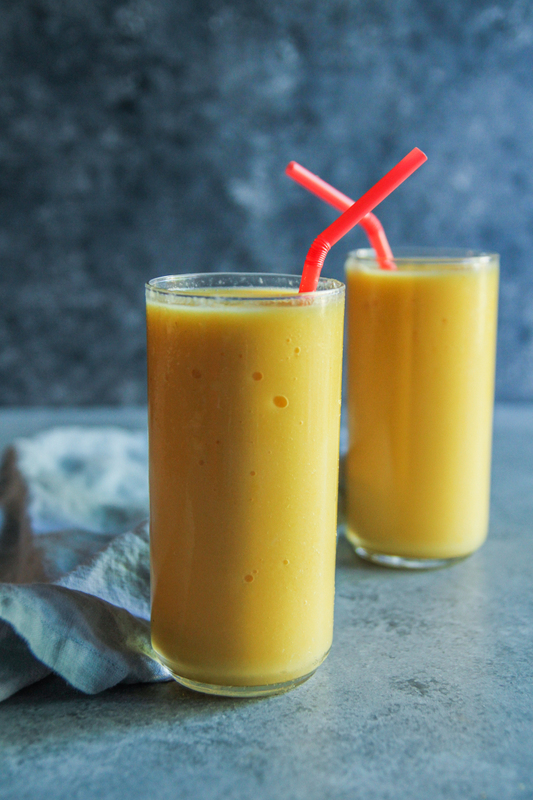 There are only 5 ingredients in this vitamin C smoothie (oranges, mangos, pineapple, coconut water, almond milk), making it perfect for Five Ingredient Fridays! 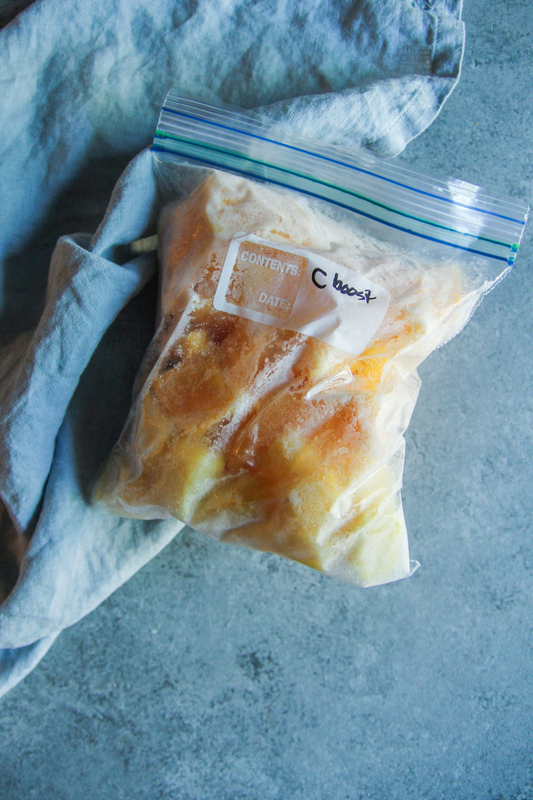 Combine orange, mango and pineapple chunks into a bag and freeze overnight. Pour liquid in a blender (I use this high powdered blender) then add in contents of the bag and blend until smooth.